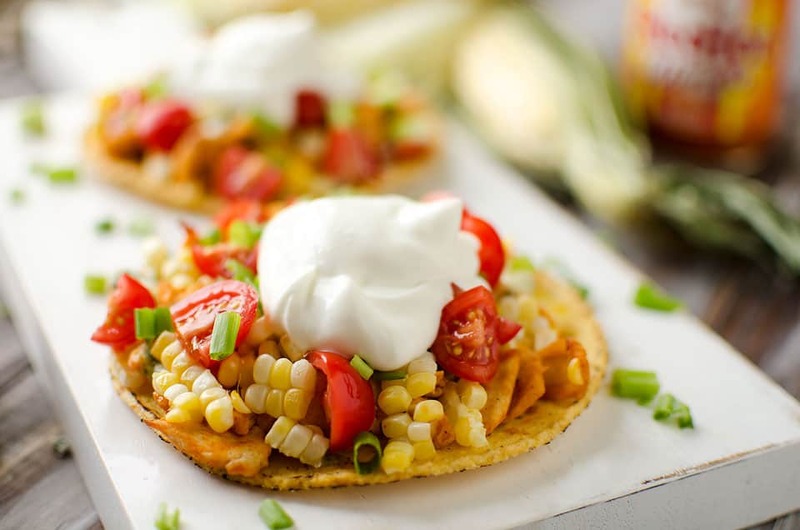 Buffalo Chicken & Sweet Corn Tostadas are a quick and easy healthy dinner recipe full of bold flavors! I am still loving the sweet corn we are getting from the field and will be sad to see it go. I want to enjoy it as much as possible while it is in season and sitting in my back yard ready to pick! 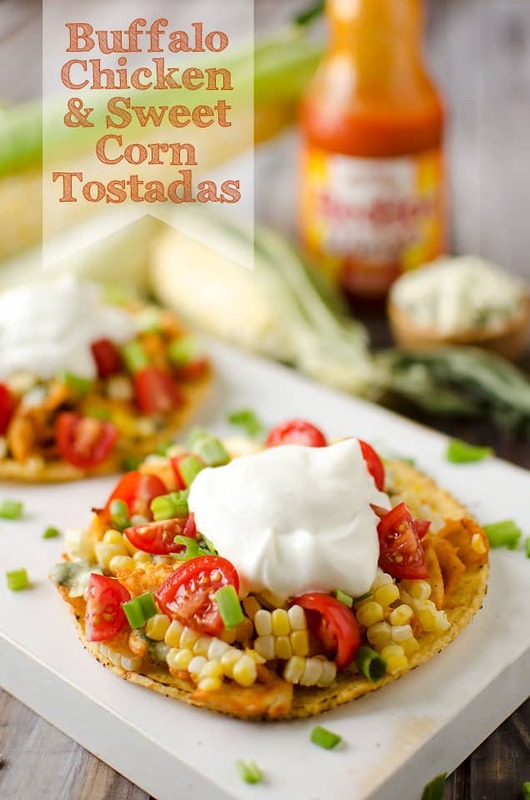 These Buffalo Chicken & Sweet Corn Tostadas are one of my favorite ways to enjoy it. 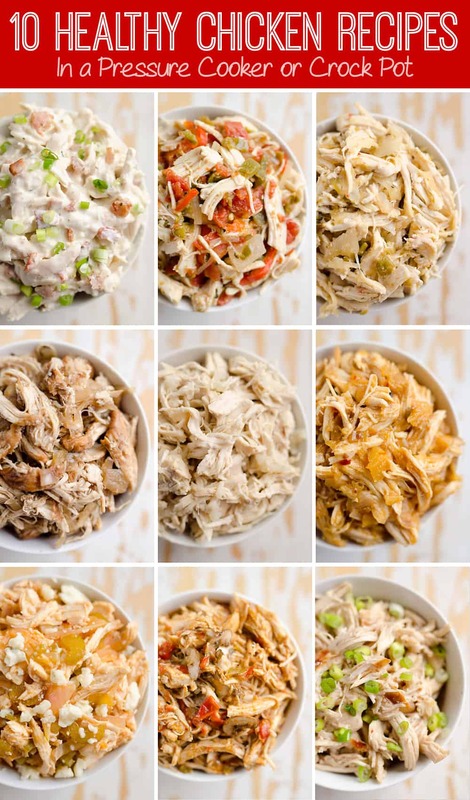 They are loaded with bold flavors from buffalo chicken, creamy bleu cheese and crunchy sweet corn and green onions. 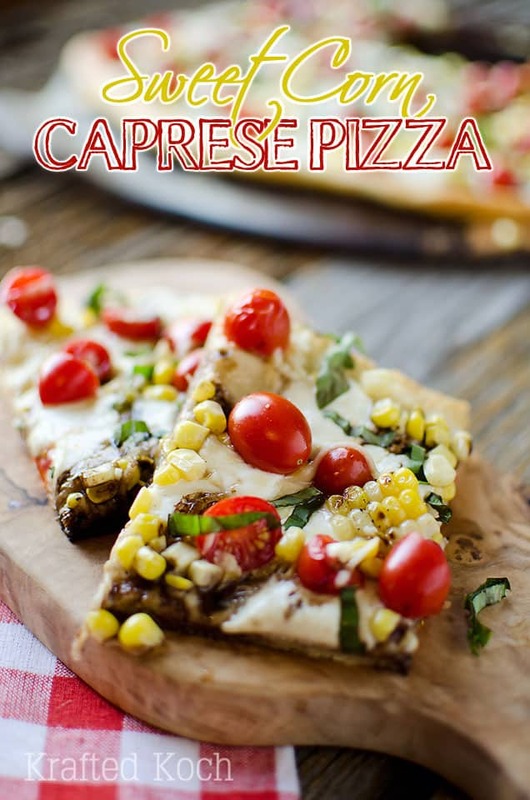 They make a quick meal for a great weeknight dinner. I can’t say that I’ve ever had such a huge cart full of groceries. It was reminiscent of my mom’s grocery trips when she had six hungry mouths to feed. I’m not sure how people afford to feed large families because groceries are expensive these days! I normally grocery shop after work each evening and just grab what I need for dinner that night. I typically decide what I am making for dinner about 10 minute before I leave work. So as you see, I am running a real organized ship here, unlike my friend Julie, who probably has her meals planned out in her cute little organizer for the next month! 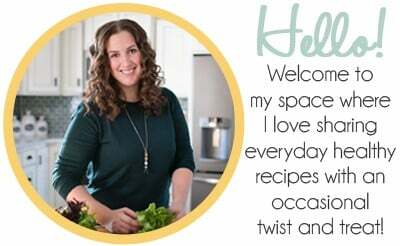 Haha, while some of her habits might rub off on me a bit, such as her love of the Crock Pot for easy weeknight dinners, I don’t foresee her organizational skills making their way into my life any time soon unfortunately. 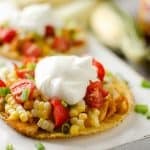 That is why I love easy weeknight meals like these Buffalo Chicken & Sweet Corn Tostadas that I can whip up in just 15 minutes! 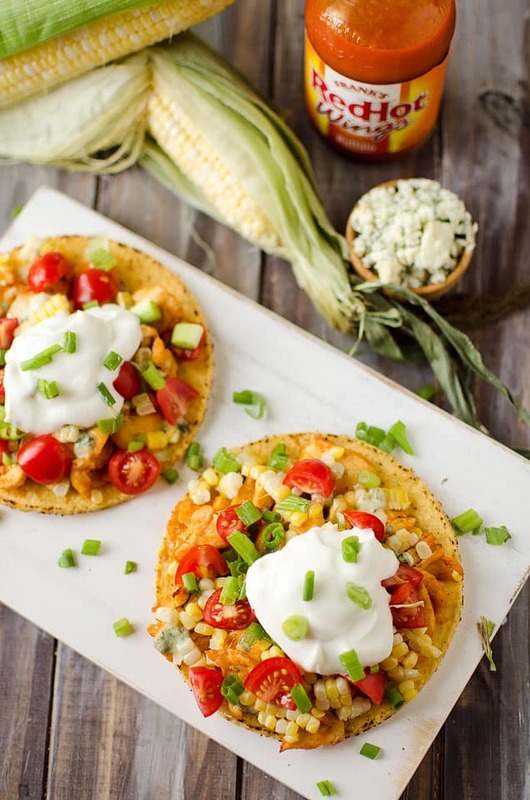 Crunchy tostadas topped with buffalo chicken, creamy bleu cheese, fresh sweet corn and crunchy green onions for an easy dinner with bold flavors. Preheat your oven to 350° and place your tostadas on a lined baking sheet. In a small bowl, toss the cooked chicken with buffalo sauce and spoon onto the tostadas. 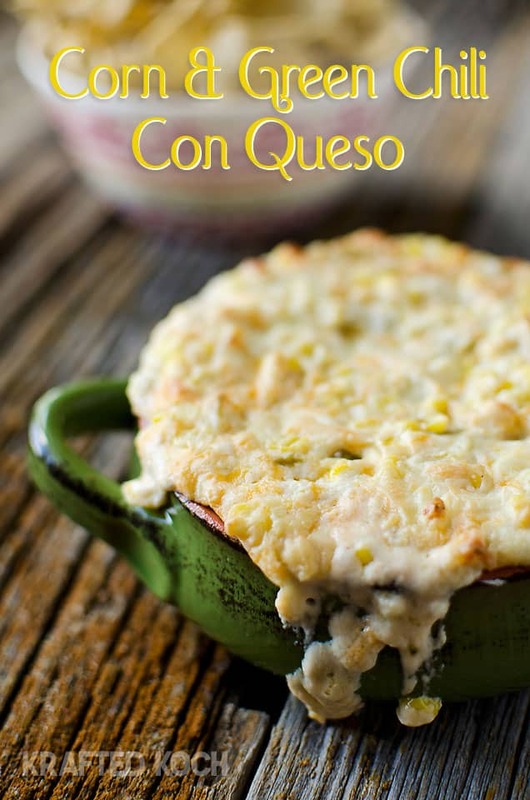 Top each one with crumbled bleu cheese, green onions and sweet corn and bake for 10 minutes. Remove from the oven and top with diced tomatoes and Greek yogurt. Serve immediately. 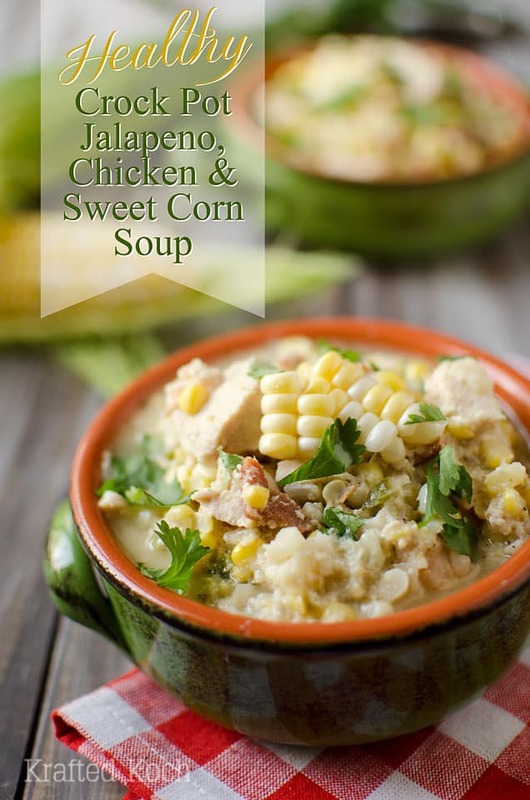 More great recipes with fresh sweet corn! Do I cook the corn first? Yes, you should cook the corn before adding it to the dish, whether you grill, steam or saute it.